INDIANAPOLIS (AP) - Robby Ginepri got the advantage of a disputed line call and fought off three match points to rally for a 4-6, 7-6 (2), 7-5 victory Friday over top-seeded Andy Roddick in the RCA Championships. 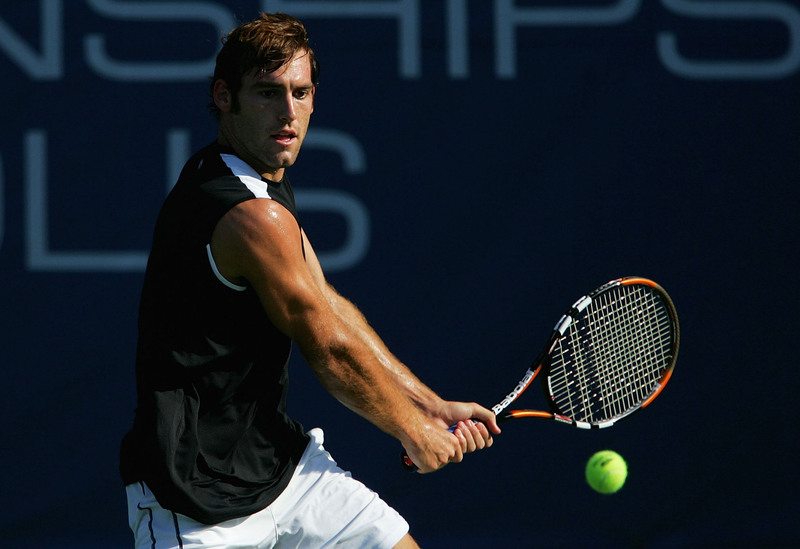 Ginepri will play 10th-seeded Karol Beck of Germany in one of Saturday's semifinals. Beck advanced by beating George Bastl of Switzerland 6-4, 7-5. Roddick, two-time defending champion of the tournament and the ATP's fourth-ranked player, held a 40-15 lead with Ginepri serving in the 10th game of the third set. But Ginepri, who was 0-6 against Roddick, staved off two match points to pull even before double-faulting. Roddick fired long on the next volley, and Ginepri gained the advantage with a chop at the net. He then hit an 80-mph serve down the right side, and Roddick watched it skip by, expecting an out call. But when there was no call, Roddick dropped his racket and argued with the sideline judge and the umpire. Ginepri broke Roddick in the next game, winning all but one point. He then held serve by winning all but one point in the final game. But first he's going to take some time off. Roddick pulled out of next week's U.S. Open tuneup at Los Angeles because of soreness in his right knee. The hard-court tournament announced the withdrawal. Ginepri savored the victory despite the close call. ``We've been battling so many times ever since we were 12 years old, and he's had my number every time,'' he said. ``Holding service was the key on my part. I've got to hold service. Fourth-seeded Taylor Dent and seventh-seeded Greg Rusedski of Britain will play in Saturday's second semifinal. Dent swept Paul Goldstein 6-3, 6-2. Rusedski ousted second-seeded Nicolas Kiefer of Germany, 3-6, 7-6 (4), 6-4.